. 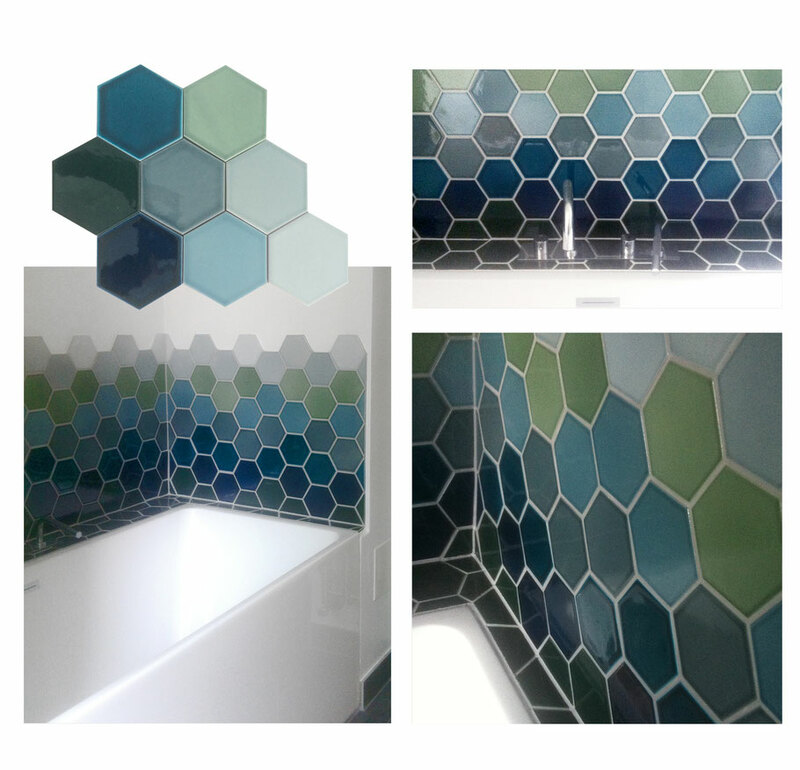 . . P E R S O N A L I Z E D P A T T E R N D E S I G N . . .
On my latest renovation project in Denmark, I had the pleasure to do a unique pattern design in mosaic tiles for my clients bathroom.